That pic up there is the cover for the debut Hinds (f.k.a. Deers) album. Yeah, it's finally gonna drop, kids. It seems like the hype has been going on for years -- nearly 2 years now -- and the ladies are ready to deliver the goods. 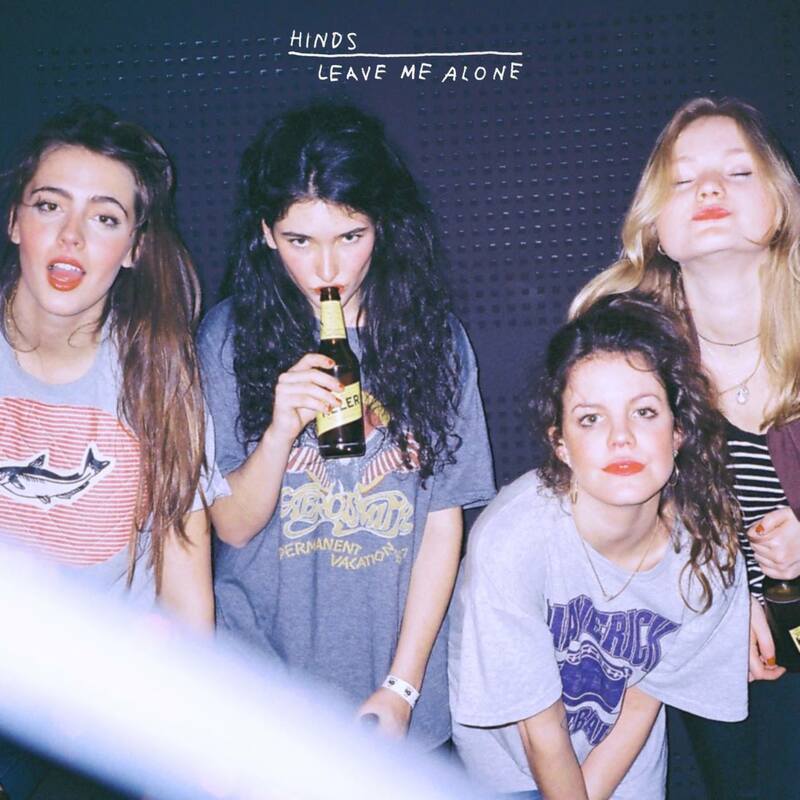 Leave Me Alone is out in early January 2016 and it's loaded with Hinds cuts both new and familiar. It's a bit too early to post a review of the record even though I have it legally already -- and I'm positively thrilled to be able to say that! -- but I can post a recent video of one of my favorite newer Hinds cuts. I hope my friends in Hong Kong enjoyed Hinds at their recent appearance there and maybe the band will tour the east coast of America and stop in D.C. in 2016 and I'll finally get a chance to see them live in person. Leave Me Alone is out in less than a month now. Those of you in the USA can pre-order it already for a pretty reasonable price from iTunes here. Follow Hinds via their official website or via their official Facebook page.